In the year 2018, word of mouth has given way to something much more impactful and far-reaching. That something is the internet. As companies continue to depend more and more on the world wide web to not only grow their business, but to actually run their business, positive and negative search results can be the difference between a fast-growing company, and a company that is headed for disaster. 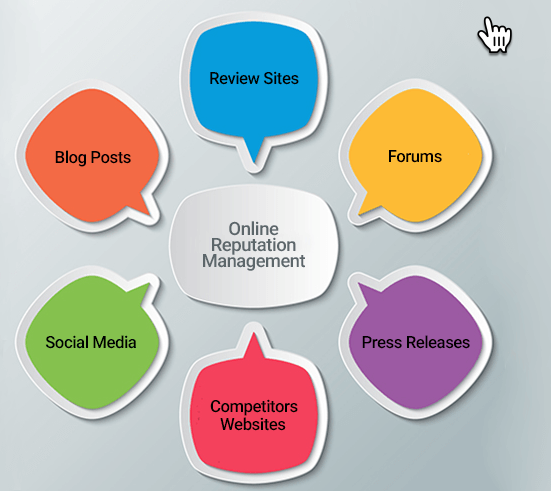 In fact, according to resent research, 90 percent of business leads research a brand online prior to making a decision. Research also indicates that about a quarter of prospective customers when only one negative article is seen by a prospective customer. When two negative responses come into play, that loss can double. Add another? That loss moves up to nearly 60 percent. Keep adding more and the losses continue to grow in a similar matter, so it is incredibly clear that negative reviews can truly be a deciding factor in how successful your company operates. To break down the numbers even further and apply it to real-life scenarios, the Harvard Business Review found that a one-star increase on the popular business review site Yelp leads to a 5-9 percent increase in revenue. That means that if your company moves up from a three-star rating to a four-star rating, you can expect to make almost 10 percent more money. Something interesting to consider when thinking about business reviews is the type of customers that tend to write reviews. A study by HBR found that online reviews are typically very polarized. That means that reviews are either from customers who had an incredible experience, of customers who had a terrible experience. Interestingly, reviews that end up sounding like rants tend to not have as much of an effect as similarly negative reviews that are concise and to the point. Thank to these facts, brands are finding that they must be proactive and make certain reviews that show up on sites like Yelp are an accurate reflection of their products and services. 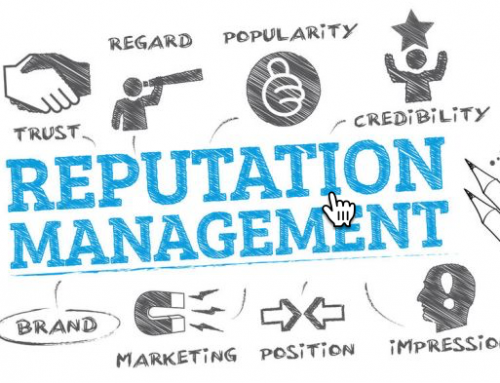 Considering the fact that 60 percent of consumers believe that reviews are either trustworthy or very trustworthy, and 90 percent of consumers research brands online, there seems to be very little doubt that these numbers have massive impact on brand reputation. So, beyond what has been previously discusses, what is the cost of negative corporate reputation? First, let’s go over what corporate reputation means. Simply, corporate reputation refers to the public’s overall and collective opinion regarding a corporation or enterprise. There are very few companies in the world where reputation is not a primary concern, and even for those companies, it is clear in the stock market and in sales that when reputation shifts dramatically, so too can their overall worth. There is much more to a corporation’s reputation than online reviews, but they certainly play a role. That’s why it’s important to know the facts. The simple matter is that every corporation should care about its reputation. That’s why it is important to actually learn how it works before you begin trying to boost the sales of your company a pour a ton of money into PR to try and improve or create your brand’s public reputation. One thing to know about corporate reputation is that it is, in many ways, quite intangible. In fact, it is what many refer to as an intangible asset. While that certainly sounds vague, that does not make it any less important. In business terms, an asset is anything owned by a company. Most of the time we consider things like land, material, property, cash, as assets. Those are tangible and quantifiable. They are something that you can physically feel, use, lose, and gain. Just because reputation cannot be felt or put on a spreadsheet, does not mean you cannot lose it or gain it, however. Reputation isn’t the only intangible asset in the corporate world, either. Other well-known intangible assets include things like patents or copyrights. They can obviously hold great value, but not the kind of value that you can put a clear number on. The same goes for reputation. It can be incredibly valuable. It can, in some cases, be the most valuable asset a company has. Think, for example, of popular startups or social media apps that have very little true value but billions of dollar’s worth of estimated value. That reputation of estimated value can make all the difference when it comes to early stages and seed money. Companies can – and try – to impact their brand reputation. Things as simple as a successful ad campaign can have huge ramifications in the market. On the other hand, a scandal or declining products can be impossible to bounce back from. In many ways, reputation does have a life of its own. Companies are beholden to their reputation and what their consumers and stock holders thing of them can dictate not only what they do in the present, but what they are able to do in the future. That can be seen as a bad thing, but it can also be seen as a good thing – especially for businesses with good reputations. If good reputation is aplenty for your company, that intangible asset can be turned into tangible ones – such as cash – very quickly. This is especially true if you are competing with other companies for the same market. A good reputation amongst consumers is an incredibly hard thing to steal or replicate. When you are trying to manage your own company’s reputation, admitting that it is a hard thing to control is many times the first step to improving your reputation. If you know what your goals are and keep them realistic, you can start working to build a strong and lasting reputation over time. The next thing that should be covered is who holds stake in the reputation of your company. Simply, stakeholders are the people who have any level of interest – or anything to lose or gain – when it comes to the reputation of a business. What is important to understand is who they are specifically and what they think about when they see the brand and its reputation. General public: they are simply interested. Especially if your company is a huge one that demands international attention. The general public will always tune in if there is a new or ad campaign that can improve your reputation, or a scandal that can hurt it. Now that we know the type of people who hold stake in a given company, it is important to know how they see or interpret reputation. Nearly all of them will turn to one resource to analyze and stay up-to-date on a company’s reputation. That resource is of course Google. 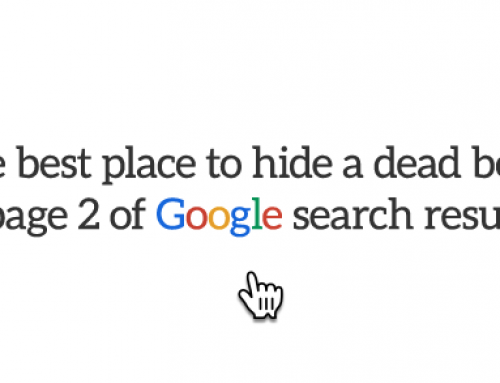 How they use Google, however, differs. For example, a stock holder will Google your company’s stock. A potential employee with Google to find out the salary, how workers are treated, what their benefits might be, and more. This kind of directed Google search is called searching by longtail keywords. That means any search that includes three or more words. According to research in SEO, these kinds of searching account for more than 70 percent of all searches on Google. For you to best use your brand’s reputation to your advantage, it is important to realize that their viewpoint of the company is shaped by what they see when they search using longtail keywords. So, how is reputation made? The answer is not a simple one. What shows up when they search for it? Because humans are inherently self-interested, anyone is going to look at a company through the lens of how it impacts them. That means that while your reputation when it comes to stock price can be great, your reputation when it comes to how you treat your companies can be awful. In some cases, your stock reputation can be great even if your product reputation is not. Consider tech giant Apple. For years, their products and customer service have routinely been maligned for being overpriced. Beyond that, they have even occasionally been accused of being straight up dishonest with their massive consumer base. Despite that, their stock continues to steadily rise. That can be explained for the most part thanks to the sales funnel that includes awareness, interest, decision, action. Despite the fact that many consumers are aware of Apple’s products and practices, Apple does an incredible job of keeping their interest peaked in their new products thanks to their flashy design and attention-grabbing ad campaigns. After that, consumers make a decision on which aspect of the Apple reputation they will consider and which they will ignore. Finally, action is taken, and for millions of people around the globe, that includes happily handing over hundreds or thousands of dollars on a brand new Apple product. Apple is a great example of how reputation can be such a strong asset. For much of the last two decades, they have been able to cultivate a reputation of being on the cutting edge. Even if their products are no longer much further ahead than they competitors, there is the perception that they are. Therefore, they can charge a premium on their products and continue to operate in similar fashion. In the end, brand reputation both online and in the news are hard things to control. The best thing for you to do is to continue to try and run as positive and productive a business as possible. If you do that, chances are good that a positive and productive reputation will be cultivated overtime. Once you have that, you can begin to try to expand, take risks, and move your company into the next state of its existence. It can be an incredibly challenging and exciting thing to try and build a company. Just remember, that your reputation is based off of the perception of your company. If you act with that in mind every step of the way, there is little doubt that you will succeed.